Yesterday it felt officially like summer. Hot and sunny and gorgeous. I had to be in the theatre by 3, so I took the morning off, no class, no rehearsal, just some relaxing down time. Which I fully took advantage of by braiding my hair. Yes, that was the extent of my productivity, and I loved it. Really trying to learn how to slow down when I have the chance, and not feel guilty about it. 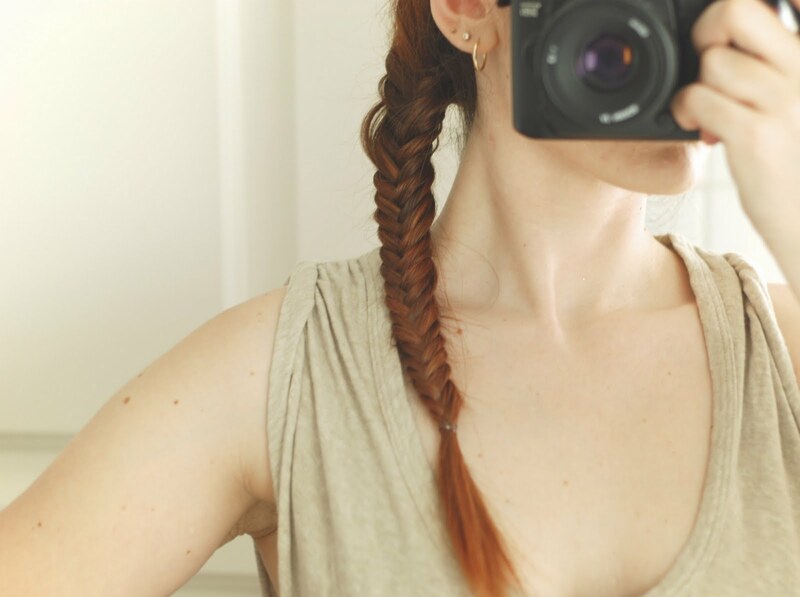 I love fishtail braids! I think they're a little more sophisticated than the regular kind. Yours turned out really nice! gorgeous hair! I've been doing a side-braid a LOT recently, too. happy weekend! 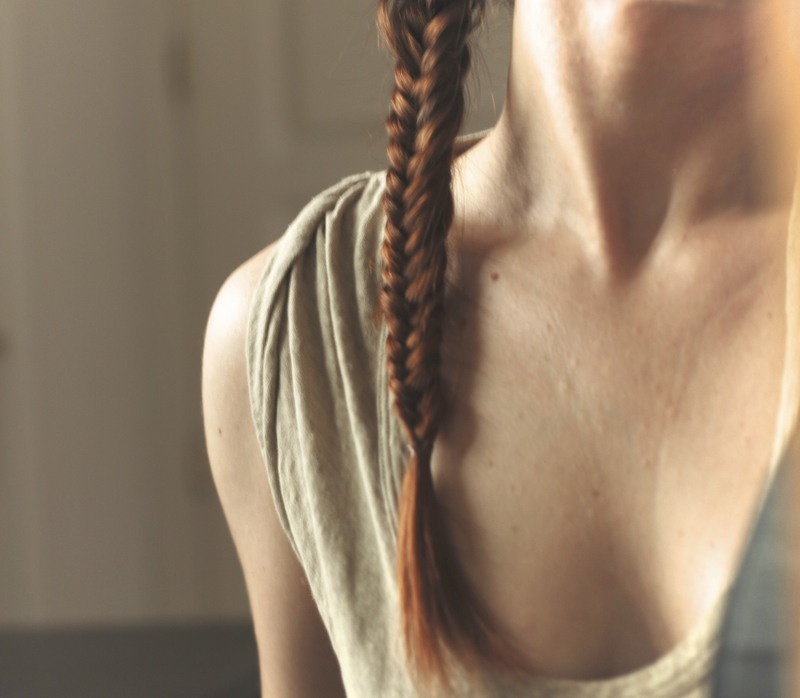 i love your braid here! This is really pretty. I love your hair colour, too. 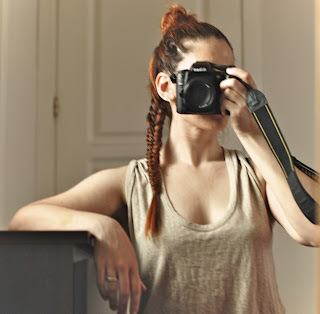 Nice braid and great photos! Hey, thanks for the comment on my blog too :). Of course you can still be featured, I said 2 months, but that's just a guideline because I wouldn't want to feature blogs which are years old. I have two people who have contacted me already, so I'll probably do features on them beforehand, but then I could do a feature on your blog. So it will probably be around late next week? Thanks for the link to your post on brogues, they are so gorgeously fantastic! I love the red hair by the way, although I'm not sure what you look like as a blonde. Nice blog! Please visit my fashion blog Pretty Portobello . I love the t shirt! 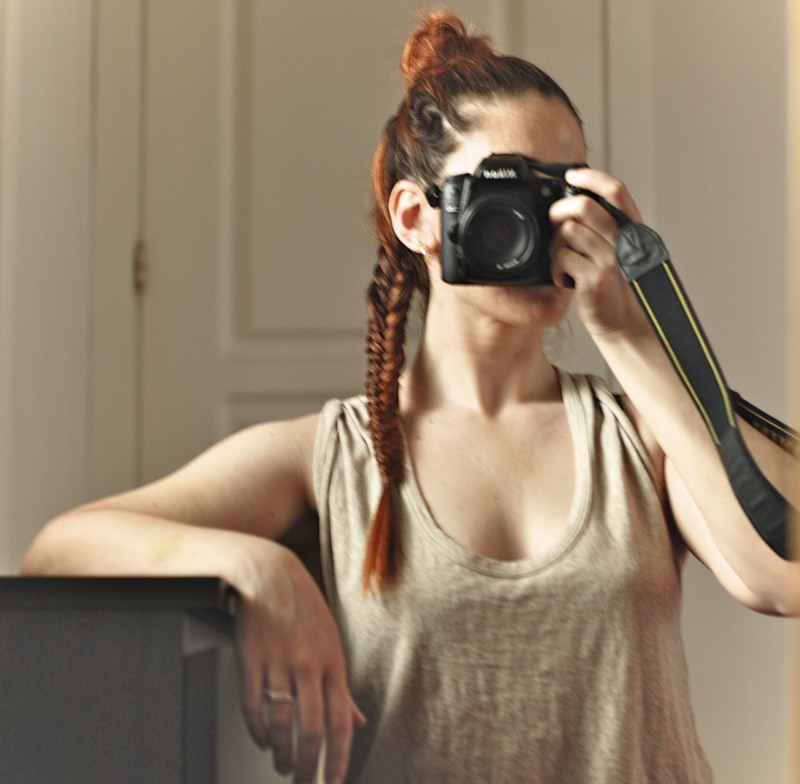 I've been wearing my hair in fishtail braids for the last week - i love them! Gorgeous hair, and the colour is so beautiful!! Learning how to fishtail is at the top of my list...thanks for the inspiration!